RUTS DC HEADLINE WESTWORLD CALLING! 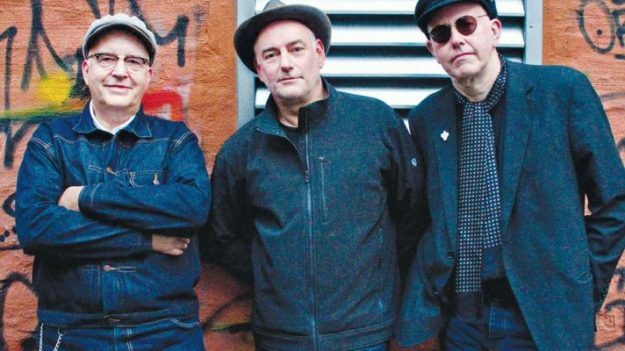 THE RUTS DC are to headline a very special Westworld Recordings night in London this autumn. Westworld Calling scheduled to take place at the O2 Academy in Islington on Saturday 2 September and will also feature sets from original ’77 punks CHELSEA, UK82 favourites CHRON GEN and retooled Bradford goth-punks 1919. Tickets priced £20 go on sale on Monday 19 June here. Having cruelly suffered the death of original singer Malcolm Owen in 1980, followed by that of guitarist Paul Fox in 2007, bassist Segs Jennings and drummer Dave Ruffy regrouped with guitarist Leigh Heggarty to release Music Must Destroy last year, their first new rock album in 35 years. Universally acclaimed, it was subsequently awarded Album of the Year in Vive Le Rock! Check out the video for the single ‘Psychic Attack’. Westworld have has been building up an impressive roster over the past couple of years, with new albums from all of the above plus GENE LOVES JEZEBEL, PETER HOOK & THE LIGHT and DEPARTMENT S.
They’ve also been responsible for a series of classic reissues from the likes of DISCHARGE, EXPLOITED, TOY DOLLS, VICE SQUAD, GBH, EXTREME NOISE TERROR, GREEN DAY, ANGELIC UPSTARTS, UK SUBS, BAD BRAINS, POISON IDEA, DOA, THE DAMNED, STIFF LITTLE FINGERS, 999, SPEAR OF DESTINY, THE FALL and many more…. ‹ THEATRE OF HATE LIVE ALBUMS REISSUED!